LawrenceDurrell is a Legacy Library. Legacy libraries are the personal libraries of famous readers, entered by LibraryThing members from the Legacy Libraries group. » Lawrence Durrell's legacy profile. LawrenceDurrell is also an author. 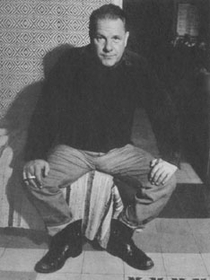 » See Lawrence Durrell's author page. Giornale Storico Della Litterature Italiana. Vol. 27. About meLawrence Durrell (February 27, 1912 – November 7, 1990) was a writer, artist, and diplomat. He was a member of the experimental Villa Seurat group of 1930s Paris, and maintained a lifelong friendship with Henry Miller. His most well-known works are the Alexandria Quartet and The Black Book. About my libraryDurrell was an avid reader, and often incorporated elements from works of history and mythology into his own fiction and poetry. His library includes many works by his contemporaries, including books inscribed to him by T.S. Eliot, Henry Miller, and others. After his death, his library was split between two institutions: Southern Illinois University Carbondale (SIUC), and l'Universite Paris X Nanterre. We are currently cataloging books from the portion of Durrell's library housed in the Special Collections Research Center at SIUC.